This hotel has class. It is nice and quiet, great size rooms, great facilities. You feel like you are walking into an experience when you arrive. They do they're best to make you feel special. Highly recommend. 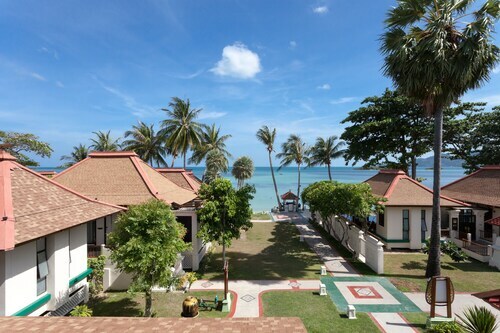 Nestled on the beach, this Koh Samui resort is within 1 mi (2 km) of Laem Samrong and Choeng Mon Beach. 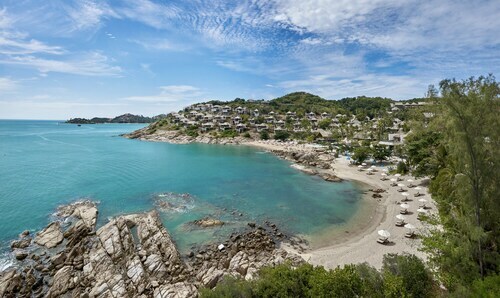 Bangrak Beach and Big Buddha Statue are also within 2 mi (3 km). You’re a modern person, with modern sensibilities. You follow all the travel bloggers on social media and you live for those stunning photos of perfectly plated meals and pool cabanas with all the extras. You’ve read about these magical places where your every whim is taken care of, and you’ve probably seen a picture-perfect postcard or two and thought, “That place can’t be real.” Well, traveller, we’re here to tell you that it is real. 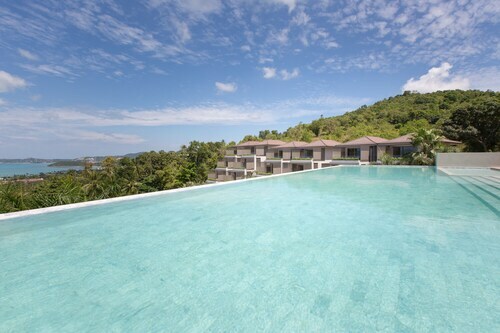 And you can have it all for yourself, at a Koh Samui hotel resort. 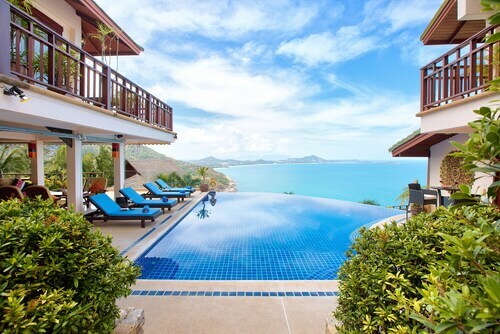 Dreaming of lounging poolside, with drinks appearing next to you at the snap of a finger? You’re probably imagining all-inclusive resorts, where you’ll find everything your heart desires. If you simply must have that private cabana, along with premium amenities and impeccable service, luxury resorts sound like your cup of tea. 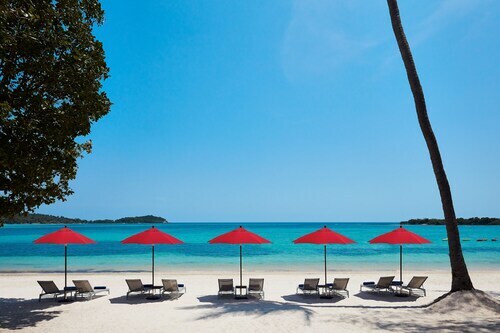 Whatever your travel style, Koh Samui resort hotels can match it. That is, unless you’re not a fan of impeccable service, gorgeous surroundings, and getaways that are utterly carefree. How carefree are we talking? 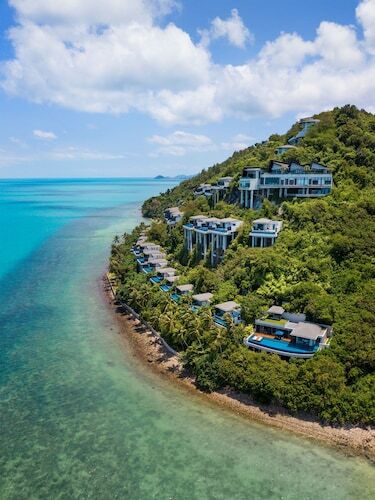 When you stay in the best holiday resorts in Koh Samui, guest service is the name of the game, and the staff takes that game as seriously as Queensland takes their footy. Look out your window right now. What do you see? 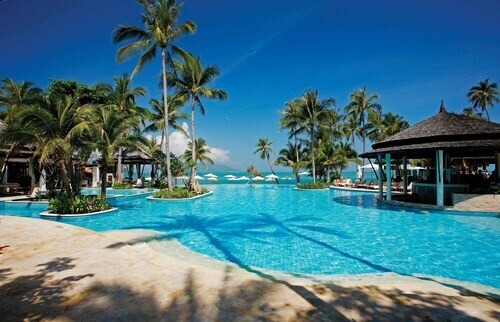 If it’s not a pool sparkling in the sunshine, you need to stop what you’re doing and browse Wotif’s selection of top-notch holiday resorts in Koh Samui. Just don’t let your co-workers see—they’re sure to be jealous, and you want to wait until you come back with pictures to really make them turn green.